Have you missed opportunities? The timing wasn't right? The money wasn't there? You just couldn't make it work? Do you find yourself wondering "What If?" That question can be poison: "What if?" 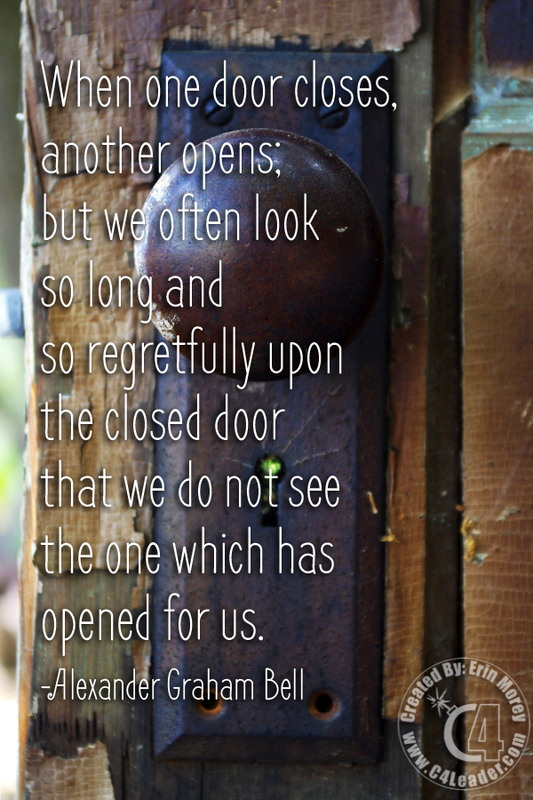 You can very easily find yourself looking at a closed door with regret. Instead, ask "What have I learned?" and then look for the next door. Regrets and "what ifs" are murder to motivation and leadership. Get beyond it, because you cannot change the past; but learn from it so that you do not repeat it in the future. What are you still holding on to? What lessons should you be incorporating into your life? These are the questions that one should reflect on, so that they can be prepared for when the next door opens.